A Thread on Qposts Re: "Justice "
Let these coming days be remembered in our history as the time we fought to recapture the republic from those evil bad actors who for so long have sacrificed the good people of this land for their own personal gain. Obama is Losing his Mind! Democrats hate Free Speech and will hate you if you speak freely against them. We'd be sitting in mandatory "re-education" classes/camps by now. I honestly believe that. 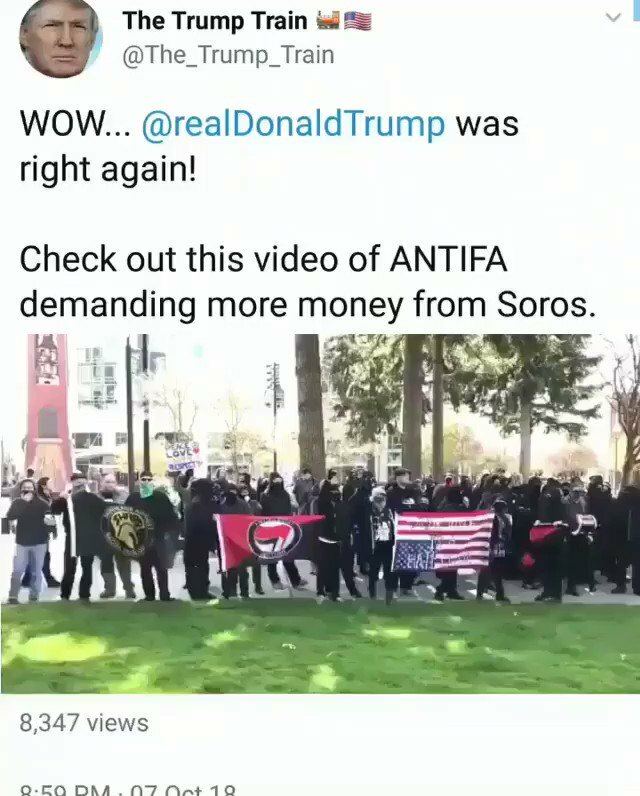 "Antifa chanting “George Soros where’s our money”"
"Fu*k. You. All. To. Hell": Google Exec Threatens GOP Over Kavanaugh Confirmation." "He later says that Google needs to fight to ensure that populist movements around the world are merely a "blip" and a "hiccup" in the arc of history that "bends towards progress."" "Report: Google Hid User Data Breach from Public out of Fear Congress Would Take Action"
"Pelosi admits the Democrats use a "wrap up smear" (creating a big lie, then reporting on it). Is this what they did with the false Trump Russia narrative? KEY EVIDENCE THE DEMOCRAT PARTY PLAYS DIRTY POOL." 1. #QAnon Justice K now sits on the Highest Court in the Land!! What a great day!! Law & Order & the U.S. Constitution have now been safeguarded. 3. #QAnon Now comes the real PAIN, the real TRUTH. They want US divided by race, religion, culture. class, and political affiliation, because, divided we are weak. But together we are strong! Watch for the change in narrative. Democrats are the party of HATE. Those signs are disgusting. Lyndsey Graham showed more cajones than anyone else during the Kavanaugh hearings. He has been unleashed and we are loving it. 2. Dems know they have no corroborating witnesses & that FBI has evidence this was a set-up. Assuming that is what Q means by "POLITICAL HIT BY D's". They will try ANYTHING to regain power. "By any means necessary". Wonder what the new narrative will be. 3. 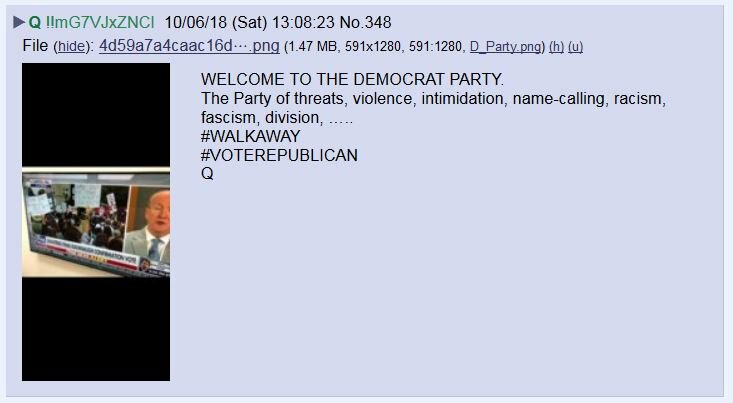 Perhaps Q was counting on Red State Dems voting YES. Still not sure the 53-47 drop was in reference to today's vote. Reference to Midterms? Those Red State Dems will pay at the ballot box no doubt. ⭐⭐⭐This is my thread for Q posts on October 6th! New Q posts will be added to this thread as more Q drops arrive today. 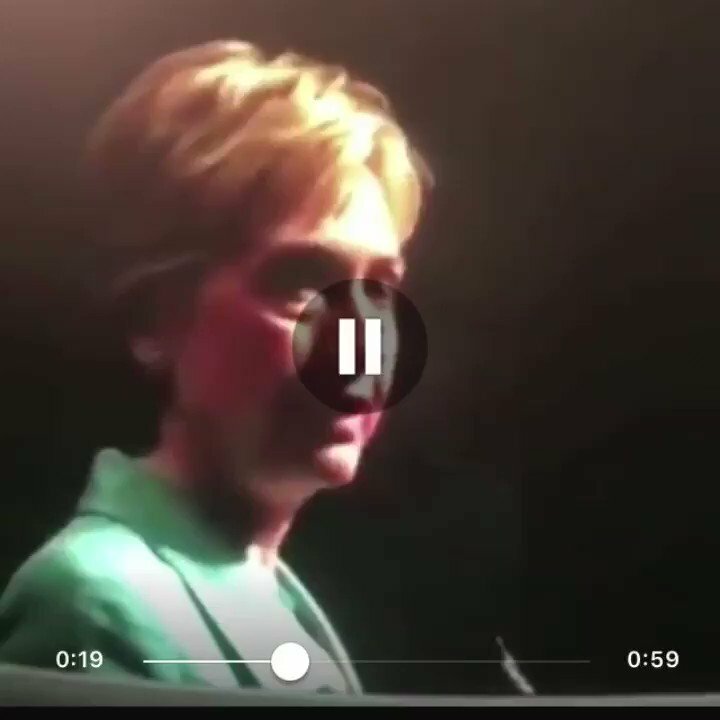 Watch "This Video Will Get Donald Trump Elected"
Justice K >>> Highest Court in the Land. Law & Order [majority] [U.S. Constitution] safeguarded. Now comes the real PAIN. Now comes the real TRUTH. #QAlert 10/6/18 This will be my THREAD for all #QPosts for Saturday Red October 6, 2018. WE, the PEOPLE. Save the Republic! Hatred and Dissension in the Nation will Heal and more!